It’s raining (Spanish irregular) verbs – Hallelujah! I’m not that far gone, but I am curious about these pesky beasts. A specific question I’ve had about irregular verbs in Spanish concerns the present tense in particular. Every textbook lists “some common verbs” of the main types, mainly “boot” verbs and -zco, but I’ve never seen an exact count, or an exhaustive list. I think I’ve now come close thanks to the intro2spanish website (with which I am not affiliated). Below is a summary table of the number of verbs listed there from the various irregular categories, broken down by category and by conjugation class (-ar, -er, -ir). I haven’t included the miscellaneous irregulars like sé, veo, nor the small -go class, because these are covered in every textbook. You can download a complete listing of the irregulars here: irregular verb list. If you can think of any others, please let me know so I can update the list and the table. I had no idea there were that many -zco verbs, or that -ir verbs outnumbered -er verbs within the e > ie type. Todos los días se aprende algo. It’s awesome that only two -ir verbs have the o > ue pattern. As explained in my previous post, the other -ir verbs that started to go down this road switched to a u instead, which spread around the whole conjugation. That’s where we get (inter alia) mullir and subir. This entry was posted in Verbs and tagged boot verbs, irregular verbs, joder, Spanish, stem-changing verbs, verbs on 26 May, 2013 by jhochberg. Lately I’ve been looking into the origins of the Spanish irregular verbs oh-so-affectionately called “boot” verbs. They are more properly called “stem-changing verbs” because their final stem vowel changes from e to ie (e.g. negar/niego), from o to ue (e.g. poder/puedo), or from e to i (e.g. medir/mido). It’s exciting to discover that this verb class is a perfect example of the two classic forces in language change: sound change and analogy. As any basic linguistics textbook will tell you, sound change affects all words with a given sound, and analogy then messes things up. Two sound changes are responsible for the “boot” verbs: the change of Latin short /ĕ/ and /ŏ/ to the diphthongs (vowel sequences) /ie/ and /ue/ in stressed syllables, and the raising of /e/ to /i/ before the sound /j/, which is pronounced like English y. The first change is more common because it affected -ar, -er, and -ir verbs. It’s the change behind the form of much Spanish vocabulary, including such common words as fiesta and puerta, from Latin festa and porta (see this previous post). And because it’s confined to stressed syllables, it’s the source of the classic “boot” pattern, where the diphthong occurs in the singular and the 3rd person plural (pUEdo, pUEdes, pUEde, pUEden) but not in the nosotros and vosotros forms, where stress falls on the verb ending (podEmos, podÉIs). Analogy messed up this tidy result by turning some regular verbs into boot verbs and some boot verbs into regulars. The former is akin to the emergence of dove as an alternative to dived, by analogy to drove and other irregular “strong” English verbs. The most common verb that “went boot” is pensar, which shouldn’t have a stem change because its /e/ comes from a Latin long vowel. Some examples of former boot verbs that are now regular are prestar (formerly priesto, priestas, etc.) and diezmar (the original infinitive was dezmar). Spanish was actually supposed to have four types of boot verbs, because /j/ affected /o/ as well as /e/, raising it to /u/ in a number of -ir verbs. However, in these cases analogy truly ran rampant and /u/ completely took over the verb, changing Latin mollire, for example, to Spanish mullir “to hoe”. No modern forms of this verb reflect the original /o/. The same thing happened to subir. Its Latin source was sŭbīre; without the /j/ the short /ŭ/ of the stem would have turned into an /o/, i.e. sobir. I wrote again about boot verbs a few days later, in this post. 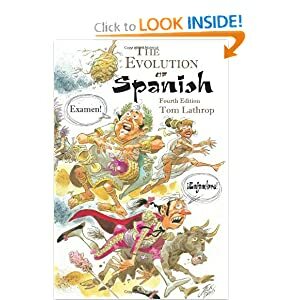 This entry was posted in From Latin to Spanish, Sounds, Verbs and tagged analogy, boot verbs, irregular verbs, Latin, sound change, Spanish, verbs, vowels on 24 May, 2013 by jhochberg. Speaking Spanish in New Mexico — NOT! As I described in an earlier post, when we lived in New Mexico I used to enjoy chatting in Spanish with our neighbors from Argentina. Remarkably, despite my passion for the Spanish language, this was practically the only opportunity I had to speak Spanish during our ten years living in this substantially Spanish-speaking area. Why? It wasn’t for lack of trying. Especially in the first few years, I would occasionally try to engage Spanish speakers in conversation. The inevitable response: English. It wasn’t for lack of skill. My Spanish was a bit rusty at the time, but still proficient. The problem was, rather, culture. New Mexico bills itself as a land of three cultures: Hispanic, Native American, and “Anglo”. The local Hispanics call themselves norteños, meaning “people of the North” (as opposed to the South, i.e. Mexico), and are proud that many can trace their ancestry directly to Spain. A substantial minority have Basque roots, which makes sense if you keep in mind the importance of sheep farming in both areas. 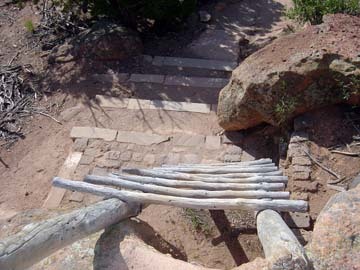 The Native American population of New Mexico belongs either to the various Pueblo tribes or to the Navajo Nation. And “Anglo”? Well, that basically means “none of the above”, whether you’re a white Jewish girl from New York, a graduate student from France, or an African American. For the most part, this three-culture mix was a positive aspect of our life in New Mexico. We enjoyed visiting pueblos and exploring ancient Anasazi ruins (especially Tsankawi), eating northern New Mexican food, especially breakfast burritos and blue corn chicken enchiladas with green chile, and just living in a part of the country that, like San Antonio or New Orleans, didn’t feel like the garden-variety American melting pot. Blue corn enchiladas with green chile and a sopaipilla on the side. I order mine without the cheese. But culture was also a barrier. Nobody would speak Spanish with me simply because I was an Anglo (or angla, I guess). Every time I tried, I was crossing a forbidden line. Thanks to my colleague’s imprimatur I was allowed to storm the cultural barriers for that one night, and happily chatted in Spanish with several of his in-laws. Qué gusto — y ¡qué feliz Navidad! This entry was posted in Latin American Spanish and tagged New Mexico, norteño, Spanish on 22 May, 2013 by jhochberg. Latin had ten vowels: long and short a, e, i, o, and u. The long vowels were literally “long”: they were held about twice as long as their short counterparts. Classical texts didn’t indicate vowel length, but Latin textbooks, dictionaries, and the like use a macron (as in ū or ē) for long vowels, and sometimes also a breve (as in ŭ or ĕ) for short vowels. As discussed in an earlier post, Spanish has only five vowels: just plain a, e, i, o, and u. Wouldn’t it have been tidy if each each long and short pair in Latin had collapsed into a single Spanish vowel? In fact, the three Latin pairs ē/ĕ, ō/ŏ, and ā/ă did just this, becoming Spanish e, o, and a. But Latin i and u split apart, with their short members absorbed into Spanish e and o, respectively. This table overlooks a crucial detail: in stressed syllables, Latin’s short ŏ and ĕ became the Spanish diphthongs (two-vowel sequences) ue and ie. This may sound like a mere, dry, or even boring technicality. But in fact, these diphthongs are a big part of the sound of Spanish. Appearing in tons of core vocabulary words, like puerta and fiesta (from Latin pŏrta and fĕsta), they distinguish Spanish from its Romance cousins: compare French porte and fête, and Italian, Portuguese, and Catalan porta and festa. The Latin short/long difference also explains Spanish “boot” verbs, whose root vowel diphthongizes when stressed, e.g. nIEgo vs. negAmos, or pUEdo vs. podEmos. These verbs had a short vowel in Latin: negar comes from Latin negāre, and poder from Vulgar Latin potēre. Verbs with stable vowels, like deber and poner, had a long vowel in Latin (dēbēre and pōnere). This is why you can’t tell from an infinitive which verbs have the “boot” pattern: the crucial vowel difference has been lost. To make matters worse, over time some verbs have drifted, either taking on the boot pattern even though they had a long vowel in Latin (e.g. pensar, from pēnsāre), or becoming regular even though they had a short vowel (e.g. sorber, from sorbēre). The moral of the story: Look it up! This entry was posted in From Latin to Spanish, Uncategorized and tagged boot verbs, diphthong, Latin, Spanish, stem-changing verbs, vowels, Vulgar Latin on 21 May, 2013 by jhochberg. While we were living in New Mexico, a family from Argentina moved in next door. At the time I had neglected my Spanish for a while, but I liked to think that it was still there when I needed it. And in fact, I was delighted to find that I could easily converse with our new neighbors. I actually felt pretty smug. Until the day, that is, when the phone rang while I was visiting next door, and my neighbor launched into an intense conversation with someone from home. Her Spanish sped up, her accent became more pronounced, and I could barely follow what she was saying (not that it was any of my business). This little anecdote has more to say about my (probable) rustiness in Spanish, and my neighbor’s politeness in accommodating her Spanish to my non-native ears, than it does about Spanish dialects. For in fact, different varieties of Spanish are just as mutually comprehensible as varieties of English. A Spanish speaker from Madrid may have initial difficulty understanding Cuban or Argentine Spanish, just as an American does Australian or Scottish English, but that’s as far as the problem goes. One’s ear adjusts pretty quickly. That’s why Spanish-language films and telenovelas don’t provide Spanish subtitles for foreign distribution any more than English-language films and TV programs do. In fact, Spanish-speaking friends I have polled insist that the range of variation is smaller than in English. Education plays a major factor in helping Spanish speakers around the world understand each other. Depending on where one lives, some dialectal features, like the weakening and loss of final /s/, can be associated with low socioeconomic status (not unlike ain’t in English). The speech of two educated Spanish speakers from different countries can therefore be more similar than that of two people from the same country, or even the same city, from opposite ends of the socioeconomic and educational spectrum. Moreover, educated speakers are more aware of dialectal differences and so better able to understand and/or accommodate. For example, just as a sophisticated English speaker from the United States isn’t thrown off by British vocabulary (lift for elevator, lorry for truck, and the like), a well-educated Spaniard will understand that Argentineans use vos, not tú, to mean “you.” At the same time, an Argentinean who is aware that his use of vos is non-standard can accommodate to the Spaniard by trying to use tú instead. Why is Spanish as consistent as it is? 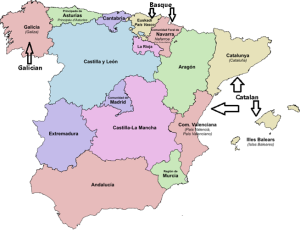 It’s partly because all modern dialects of Spanish stem from two varieties of Spanish spoken in Spain in the 16th century: either castellano (standard Spanish, exemplified by the speech of Madrid) or Andalucian Spanish, exemplified by the speech of Seville. This was a small range of variation to begin with. Moreover, during the four hundred years or so that Spanish has been a world language, several factors—the existence of a language standard, increasingly widespread literacy, the availability of books and the mass media, and now the Internet—have provided centralizing ballast to the centrifugal force of language change. It remains to be seen how long they can continue to do so. [Update from 4 Aug: Here‘s a post about mutual intelligibility in English that includes a list of references about mutual intelligibility in general (search on “Subtirelu”)]. This entry was posted in Spanish in the world and tagged Argentinian Spanish, linguistic accommodation, Spanish, Spanish dialects, voseo on 18 May, 2013 by jhochberg. 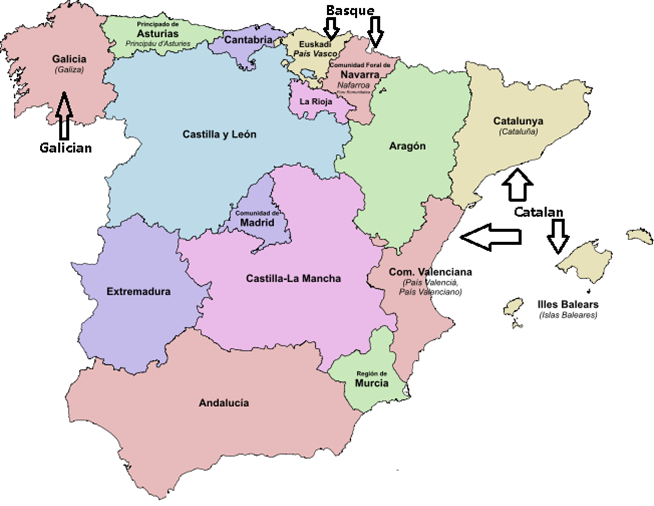 Since writing my previous post about the role of minority languages in Spain’s educational system, I’ve continued to look into the dramatic ongoing battle between Castilian (i.e. “Spanish”) and Catalan in Catalonian schools. While my expertise is in linguistics, not history, politics, or law, this issue is so important in Spain, and so illustrative of the passions that language can inspire, that I wanted to share what I’ve learned. To recap from the previous post: current Catalonian educational policy gives primacy to Catalan, designating it as the language of instruction. Castilian is treated more like a foreign language, an object rather than a vehicle of study. The last seven years have seen a complicated series of judicial challenges to this policy in both the provincial (Catalonian) and national (Spanish) courts. Here are the details, including links to the actual court decisions for the truly zealous reader who relishes the challenge of wading through dense legal Spanish. My retelling is mostly based on an April, 2013 summary (in Spanish) in 20minutos.es, with some historical background from a 1996 review article (in English) in the journal Hispania. An excellent summary of the current stand-off (in Spanish) is here. Before Francisco Franco’s dictatorship, Catalan was the language of daily life in Catalonia, including in education. It was used except when interacting with the national government. During the Franco years (1939-75), Catalan was repressed in schools, the media, and even in baby naming. In 1983, eight years after the death of Franco, Spain established its federal system of Comunidades Autómomas, including Catalonia as one of the 17 Comunidades. One of the new Catalonian government’s first actions was to enact its pro-Catalan language normalization statute (see previous post). In 1994 the Spanish Supreme Court upheld the language normalization statute. Catalonia then implemented a pro-Catalan educational policy (see previous post). In 2006, a handful of Catalonian families petitioned for the right for their children to be educated in Castilian. Four years later (in 2010), on the heels of a decision by the Spanish Constitutional Tribunal that Catalan shouldn’t be “the only [language] to be…a vehicle of learning”, the Spanish Supreme Court ruled that Catalonia “should adopt whatever measures are necessary (cuantas medidas sean precisas) to adapt their educational system to the new situation”, i.e. to the Constitutional Tribunal ruling. The vagueness of the “whatever measures” wording would prove problematic. In July of 2011 a district-level local court gave the Catalonian Department of Education two months to implement teaching in Castilian (el plazo máximo de dos meses), in accordance with the Supreme Court decree. The Department appealed this ultimatum, arguing that it had fulfilled the previous Supreme Court decree by instructing schools to provide individual attention (in Castilian) to Castilian-speaking students. In February of 2013 the Spanish Supreme Court upheld a higher local court’s dismissal of the district-level ultimatum. The Supreme Court reiterated that it was up to the Catalonian government to properly implement bilingual education, and accepted the government’s plan for individual instruction. In March of 2013, the same district-level court that had previously issued the two-month deadline ruled in favor of a new group of Castilian-speaking families, stating that individual attention was not enough, and that “the system has to adapt [i.e., teach in Castilian] to the whole class that a student is part of.” Elsewhere the decision complained that “it’s one thing for Catalan to be the center of gravity and another that it takes over, to the point where in the cases we have examined, Castilian is only used for three hours a week.” Needless to say, an appeal is already underway. This entry was posted in Spanish in the world and tagged Catalan, Spanish on 16 May, 2013 by jhochberg. After the second World War, my grandmother’s family scattered all over the world. My grandmother had already immigrated from Poland to the United States. Her youngest brother ended up in Vienna. Her three sisters, who didn’t look Jewish, managed to survive the war hiding in plain sight in Poland, then married conscripted French laborers and moved to France. Her two brothers immigrated to Brazil. As a result, our occasional and joyous get-togethers with the extended family were a linguistic smörgåsbord featuring Polish, Yiddish, English, French, Portuguese, and Spanish. In particular, our Brazilian cousins spoke Portuguese to me and my father, and we spoke Spanish to them. At the time, I had the impression that our Brazilian cousins could understand our Spanish much better than we understood their Portuguese. This impression has stuck with me in later encounters with Portuguese speakers. This isn’t just my own observation; ask any Spanish speaker, and you’re likely to hear the same thing. 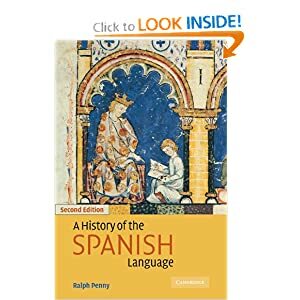 It’s also echoed in linguistic literature, most notably by eminent Spanish scholar Ralph Penny: “speakers of Spanish understand at least some of what is said in Portuguese, and the Portuguese speakers will understand a good deal more of what is said in Spanish” (Variation and Change in Spanish, p. 14). I’ve only found one study that addresses this question systematically. Florida International University professor John B. Jensen had Portuguese and Spanish speakers (all from Latin America, and none expert at the other language) listen to passages in the other language, then answer comprehension questions in their own language. Comprehension in each direction hovered at around 50%. The Portuguese speakers were more successful than the Spanish speakers at interpreting what they heard, a difference that was slim yet statistically significant. To find out why, I checked in with my great friend (and Portuguese expert) Bonnie Wasserman. She suggested that the main factor was the greater complexity of the Portuguese vowel system. Compared to Spanish’s economical five-vowel system, Portuguese has more core vowels and also a set of nasalized vowels. For example, where Spanish has a single vowel /o/, Portuguese has three: /o/ as in avô “grandfather” (this is closest to Spanish /o/), /ɔ/ as in avó “grandmother” (similar to the au of caught), and nasal /õ/ as in onda “wave” (the n is not pronounced). Spanish speakers can become confused if they fail to pick up on these subtle differences. A second factor is rhythmic. While Spanish is more stacatto, with each word pronounced individually, Portuguese words are more connected. This makes it harder for Spanish speakers to pick out familiar words when heard in context. Related discussions are here, here, and here. This entry was posted in Spanish in the world and tagged mutual intelligibility, Portuguese, Spanish on 11 May, 2013 by jhochberg. We all know that the conquest of Latin America was a disaster for its indigenous peoples and languages. Between war, slavery, and disease, the native population was reduced, absorbed, or eliminated in much of Latin America. At the same time, the native languages gave way to Spanish. Argentina is an extreme example of this tragic pattern. According to the CIA World Factbook, only 3% of Argentina’s population is indigenous or mestizo (mixed). Mapudungun and Quechua are still spoken, but less than Spanish, Italian, English, German, and even French. Bolivia, Ecuador, Guatemala, Paraguay, and Peru are at the other end of the demographic and linguistic spectrum. Their populations are largely indigenous or mestizo, and their indigenous languages are still widely spoken, and in many cases recognized as co-official with Spanish. I’ve put together a summary table (below) using data from the CIA Factbook and, where indicated, the U.S. Department of State. Bolivia 85% indigenous or mestizo Only 60.7% of the population speaks Spanish. Quechua and Aymara are co-official with Spanish. Ecuador 90% indigenous or mestizo* Quichua and Shuar are widely spoken. Spanish is the only official language. Guatemala Majority indigenous or mestizo* Only 60% of the population speaks Spanish. 23 indigenous languages are co-official with Spanish. Paraguay 95% mestizo Most of the population is bilingual in Spanish and Guaraní. Guaraní is co-official with Spanish. Perú 82% indigenous or mestizo 15% of the population speaks Quechua, Aymara, or another indigenous language. Quechua is co-official with Spanish. This entry was posted in Latin American Spanish and tagged Argentina, Aymara, Guaraní, indigenous languages, Latin America, Mapudungun, Quechua, Quichua, Shuar, Spanish on 9 May, 2013 by jhochberg. Today is Spanish Friday so this post is in Spanish. ¡Scroll down for English translation! This entry was posted in The written language, Uncategorized and tagged bilabial consonants, consonants, minimal pairs, phonetics, Spanish, Spanish Friday, writing on 3 May, 2013 by jhochberg.